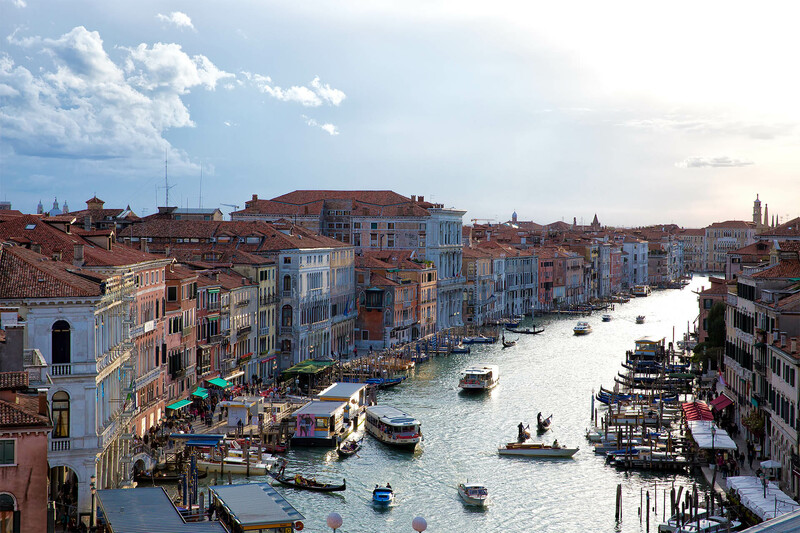 Ca‘ Pagan has a perfect position in the city center of Venice, outside the busy crowd but close to all the main attractions in a calm and elegant location. In a few minutes it is possible to reach Campo Santo Stefano, one of the widest squares of the city, full of restaurants and bars. Palazzo Grassi is the last Patrician palace facing the Grand Canal and it is house of international and famous art exhibitions. The Accademia Galleries, Peggy Guggenheim Collection and the known Theatre La Fenice are just a few examples of places set at an easy distance from the hotel and they all express the aristocratic and lively character of the city. Thanks to the closeness of the water bus stop it will be easy to reach the island of Lido and the Biennale. ISLAND OF TRONCHETTO: a private parking area for about € 20,00 per day, at a short distance from the city center: from there it is possible to take the water bus line number 2, San Samuele stop and after 50 meters, on your right, you will find the Hotel. PIAZZALE ROMA: there you will be able to find several covered parking. From there it is possible to take the water bus line number 2, San Samuele stop and after 50 meters, on your right, you will find the Hotel. Or you can take line number 1, Sant’Angelo stop. In about five minutes, walking towards Palazzo Grassi, you will find Ca‘ Pagan on your right. From Piazzale Roma it is possible to reach us walking in about 25 minutes following the route Campo Santa Margherita, Campo San Barnaba, Accademia bridge, Campo Santo Stefano and finally Campo San Samuele (San Marco, 3268). – take the water bus line number 2, San Samuele stop and after 50 meters, on your right, you will find the Hotel. – take line number 1, Sant’Angelo stop. In about five minutes, walking towards Palazzo Grassi, you will find Ca‘ Pagan on your right. By walk, in about 25 minutes following the route Campo Santa Margherita, Campo San Barnaba, Accademia bridge, Campo Santo Stefano and finally Campo San Samuele (San Marco, 3268). FROM THE AIRPORT MARCO POLO (VENICE): At a few minutes’ walk from the Airport you will find the Alilaguna water bus, Orange line, that in about one hour will reach Venice. You need to stop at Sant’Angelo. In about five minutes, walking towards Palazzo Grassi, you will find Ca‘ Pagan on your right. FROM THE AIRPORT A. CANOVA (TREVISO): You will find a direct ATVO bus that in about one hour arrives at Piazzale Roma, where you can take the water bus number 2, San Samuele stop and after 50 meters, on your right, you will find the Hotel. It is possible to take line number 1, Sant’Angelo stop. In about five minutes, walking towards Palazzo Grassi, you will find Ca‘ Pagan on your right. Ca‘ Pagan Staff is glad to book a private taxi for you. The price for the journey from the Marco Polo Airport is € 150,00: a private car will wait for you outside the airport and then will lead you to the dock where a water taxi will bring you to the Hotel. The price for the journey from the Santa Lucia train station or Piazzale Roma is € 60,00. All the mentioned prices consider journeys with 4 persons maximum and may vary according to the time.